Festival season kicks off at Powell Gardens on Thursday, July 3, with Booms & Blooms, the biggest one-day festival at the Gardens all year. 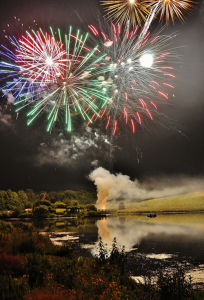 Always scheduled near July 4, this event is an annual Independence Day Weekend tradition for many across the Kansas City metro. 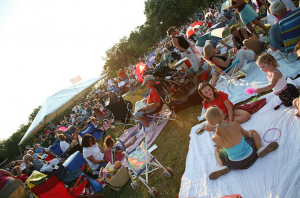 Booms & Blooms is one of the few times guests can bring in picnics to enjoy on the lawn–and many like to bring elaborate set ups and food to savor together. Others prefer to buy treats from festival vendors. Home-made ice cream with ingredients from the Heartland Harvest Garden, hamburgers, hot dogs, salad in a cup, corn on the cob, cotton candy and shaved ice are among the options. 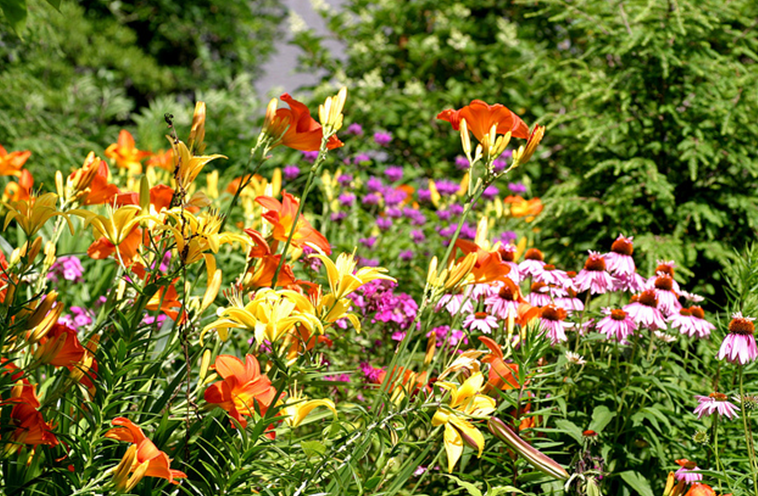 Daylilies star as the festival’s featured blooms, typically reaching their peak during this timeframe. A stroll through the Perennial Garden provides views of hundreds of dazzling varieties. 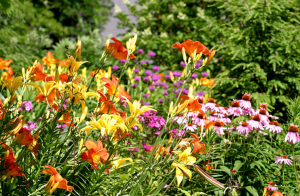 Throughout the festival, McConnell’s Plantland offers daylilies for sale, making it easy to start a collection of favorites. No festival is complete without music. Festival music kicks off at 4:30 p.m. with performances by students from the Lee’s Summit School of Rock. 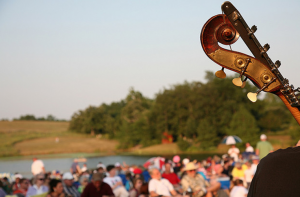 The Lee’s Summit Symphony takes the stage on the main lawn at 7:30 p.m., presenting a patriotic pops concert that leads into the festival’s grand finale: a sizzling fireworks display over the lake.